You hope to get good tenants in your rental units. You do proper screening, background checks, checking up with prospective tenants’ prior landlords, work history and employers. And you verify income. But no matter how careful you are, at some point you are likely to get tenants that will default in the payment of rent if you’re in the rental business long enough. But you do have some protection: security deposits. And though landlords hope to avoid an Unlawful Detainer lawsuit to get tenants evicted, that is another protection for the unlawful detainer lawsuit or eviction. Bad tenants come in several varieties. Some may not pay rent on time. Some stop paying rent altogether. Some turn to crime and deal drugs or do even worse on your property. Some may damage your rental unit. Some make too much noise and disturb other tenants or the neighborhood. A security deposit can help you out in case the tenant doesn’t pay rent or damages your property. And an unlawful detainer lawsuit is the legal process whereby a landlord in California forces a tenant to move out of his property if the refuses leave voluntarily. A security deposit is paid before the tenant moves in. Landlords expect to get security deposits whether the contract is a long-term lease or a month-to-month rental (See our posting Lease vs. Rental Agreement: Which to Use? What is the Difference?). How much should a security deposit be? The amount of a security deposit is calculated from the amount of monthly rent. If the rent is $2,000 and the landlord wants two months’ security deposit, the deposit will be $4,000, payable before the tenant moves in. Both parties expect the $4,000 to be returned to the tenant when he moves out if the property is delivered back to the landlord in good condition, excluding normal wear and tear—unless he is in breach of the lease contract and / or is in arrears on the rent, or the landlord has to hire a contractor to clean or to fix any damage the tenant caused to the landlord’s property. If the landlord has to have work done amounting to $1,000, and he collected $4,000 as security, the landlord would return $3,000 to the tenant within 21 days after he moves out pursuant to Civil Code 1950.5. The rental unit has more protection, and consequently the landlord has more peace of mind. The tenant is less likely to damage the property and more likely to maintain it well, allowing the landlord to rest easy. And if there is damage, the landlord knows the tenant will be the one to pay for it when the landlord deducts from the deposit. A related point is that tenants will be more careful and cautious on the property. The tenant likely hopes to receive the full amount of the security deposit back, and if he is careful and treats the property like his own, he is more likely to get it all back. The eviction process can be lengthy and expensive, so you might consider getting a security deposit equal to two months’ rent for their residential rentals if the unit is unfurnished. Two months is the lawful limit in California for a security deposit for an unfurnished apartment, condos or houses, essentially any residential dwelling. If the unit is furnished, landlords can collect three time the monthly rent as a security deposit. Laws in other states may be different, so if you’re a landlord outside California research what you are allowed to collect as security. In the United States, it is state law, not U.S. federal law, that determines how much a landlord may collect as a security deposit. State laws vary on security deposit. And it is even possible that cities or counties also have ordinances affecting security deposits, so research that as well. Also, in California a landlord can charge half of the amount of monthly rent if the tenant has a waterbed. If the rent is $2,000, the landlord can collect an additional $1,000 deposit for the waterbed. If the landlord gets the full security—two months’ rent plus half of the monthly rent for a waterbed, he would be collecting $5,000 total for security deposit. The hope on both the tenant’s and landlord’s behalf is that the tenant will get the full amount back. If he does get it all back, it means he paid rent on time and followed the lease or rental agreement. He was a good tenant. The lease or rental agreement should include the terms of the security deposit so there can be no mistake about them later. A verbal agreement can amount to a contract, but sometimes verbal agreements in court become a case of one person’s word against another person’s. It can be hard to prove. Get it all down in writing in the lease contract. In the lease or rental contract, include information about the security deposit. List reasons that you would make a deduction if it becomes necessary, say where you will store the security deposit and how and when you will return it to the tenant. Also, provide the tenant with a receipt of the deposit. Most states, including California, require landlords to give a receipt to the tenant. The receipt should state the amount of the deposit, the name and address of the bank or institution where you will keep it and the annual interest rate. Every U.S. state has laws saying deductions from the security deposit are legal under some circumstances. After the lease or rental agreement ends, the landlord will assess whether the tenant has abided by the contract. If so, he will return the entire amount. If the tenant broke any of the terms of the lease, the landlord will keep all or part of the deposit to cover his expenses. If the tenant has $4,000 on deposit and caused $1,000 in damages to the landlord’s property, the landlord will return $3,000 of the deposit to the tenant. If the tenant has missed rent for one month, the landlord will keep the amount of the monthly rent and return the remainder to the tenant. “The cost of fixing any damages to the property caused by the tenant or the tenant’s guests. This does not include ordinary wear and tear. “The cost of cleaning the unit when the tenant moves out, but only to make the unit as clean as it was when the tenant first moved in (less reasonable wear and tear). Tenants may question certain deductions that landlords make. A tenant may inform a landlord that he thinks a deduction is unfair, and out of this a conflict might arise. 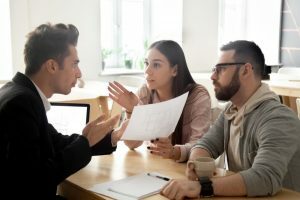 Sometimes these disputes can be handled out of court, but other times either party may bring a lawsuit to settle the matter. Landlords should learn all the details on security deposit laws of California (or whichever state their rental property is in) before they make deductions. If a conflict comes up, they should also record any actions either side takes in an attempt to resolve disputes over security deposits. If the landlord withholds some or all of the deposit, he must provide to the tenant some legal reason for doing so. As stated, the two big reasons for withholding are because of property damage and violations of the lease (including non-payment of rent). 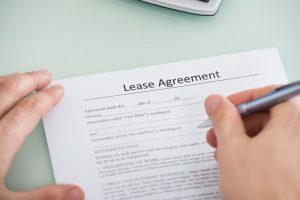 If the tenant has not damaged property or violated the lease, the landlord cannot deduct from the security deposit and must return the full deposit within 3 weeks. It is up to the landlord to prove that he is withholding according to local and state laws. The landlord must have a legal reason and then follow the deduction process correctly. If the tenant disagrees with the legality of a deduction from his deposit, he should inform the landlord what he is doing that the tenant believes is illegal. If both sides understand the laws beforehand, then no dispute should arise. If a landlord does make a deduction, he should back up his claim with photos and video of any damage to the rental unit or with bank statements showing that the tenant did not pay rent. 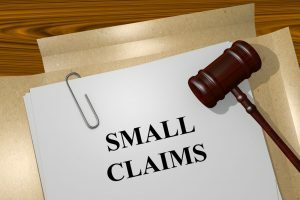 If the landlord proves he is right, the tenant can still sue him in small claims court in an attempt to get back the amount deducted from his security deposit. A landlord may opt to fight in court or settle out of court to avoid the hassle. 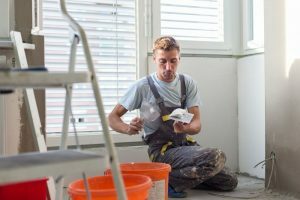 If the tenant did not have extensive damage or the damage is minimal, it might be a good idea for the landlord to just settle out of court with the tenant. But if the amount of damage means expensive repairs or if the tenant owes a considerable amount in back rent, the landlord should go to court, especially if he has clear and convincing evidence of the tenant owing money to the landlord for rent or damaging the property. You might feel like you need to be a friend to your tenant, but we urge you to keep your relationship on a friendly but businesslike footing. If a tenant asks to use the security deposit as rent for the last month or two, say no. A security deposit is NOT the last months rent. Once the tenant moves out, you might find it necessary to do more cleaning, which costs money if you hire someone else to do it. Or some of the fixtures could be in disrepair. Or the tenant might not have paid all of the utility bills, and once he moves out you could be stuck with them. If the deposit is all used up on rent, you might have to pay extra for these things. And it is much easier to use a security deposit to pay for any tenant-caused problems than to sue the tenant in small claims court. If the time comes when you need to evict someone, contact us for the best advice. We do evictions for a very low competitive fee that saves landlords the complicated and time-consuming process of writing up notices, serving them, filing the unlawful detainer in court and having the tenants served with the summons. If your tenant contests the eviction, our attorneys will go to court with you and represent you in front of the judge. For questions about lease contracts or rental agreements, contact us today.